What went wrong at John Lewis Finance? John Lewis Finance revamped their website in October, and their customers have not been impressed, with many choosing to share their feedback with us. 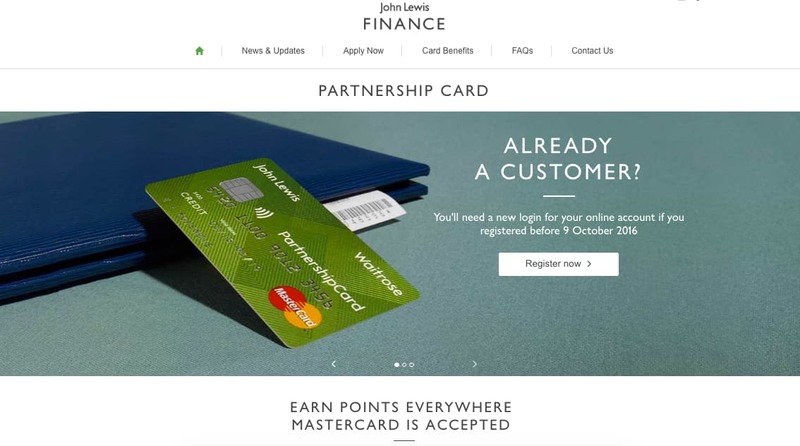 The John Lewis Partnership Card (their flagship credit card product) has seen its overall rating fall from 58% in September (pre the new website), to 30% as at 2nd November 2016…so it now finds itself at the bottom of our credit card leader board. 6. What's happening John Lewis? You are losing loyal customers fast. Woeful service today! 8. Rubbish website - not properly tested? Customers weren’t told that a major change was coming. A change which required existing customers to re-register should have been better communicated. A number of reviewers were also concerned that the request to re-register was the result of being redirected to a “dodgy site by a scammer.” Better communication would have reduced these concerns. As part of their website refresh, John Lewis Finance customers found that they needed to register in order to access the site. But this wasn’t as easy as it could have been, with many unable to access their accounts in over a week. Unsurprisingly, login issues combined with payment issues don’t make for happy bedfellows. The John Lewis Finance call centre finds itself overwhelmed… with some of our reviewers reporting wait times of over an 1 hour. While John Lewis Finance is still dealing with a backlog of issues, customers (who are unable to access their accounts) are receiving late payment penalties, and interest charges, exacerbating the existing issues. Will the ‘Man on the Moon’ save them? With Christmas just around the corner, anticipation of the John Lewis Christmas ad has begun. It’s clear from our reviews that customers have high expectations of this quintessentially British institution. The next Christmas ad spectacular might have to be a little extra special to win back John Lewis Finance customers. Your reviews power Smart Money People, so share your feedback with us today.